I made this Santeria-inspired for Miami’s favorite rock n roll band. Gabriel did the bobo typography across the top, and I doodled all the stuff I saw inside this botanica on Bird Rd. 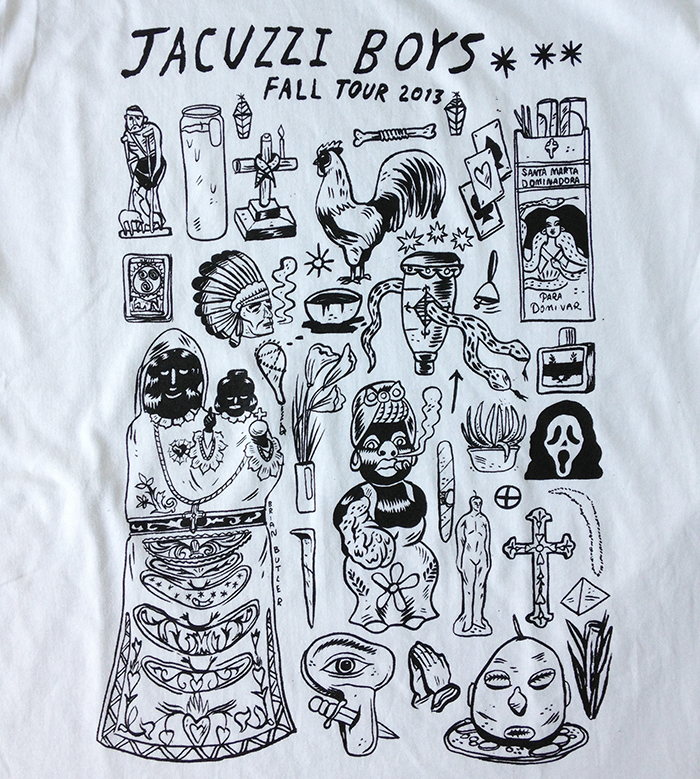 They took this design out on their tour with Wavves and King Tuff. None left.